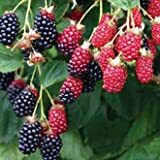 Blackberry plant growing shrub or vine of the genus Rubus also known as Blackberry or Common Blackberry, Blackberry plant perennial evergreen semi-deciduous plant, can grow in temperate, subtropical or mediterranean climate and growing in hardiness zone 3-10. 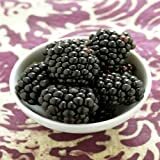 Fruit color black, fruit assembled from small cells that put together a round shape (circle / oval). 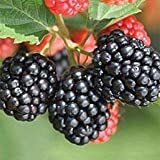 When pick the Blackberry plant fruits the fruits are stay out with the torus. 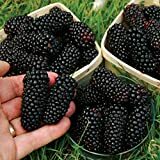 (1 Gallon) APACHE Blackberry - Jumbo-size large glossy black fruit in great abundance with sweet flavor. 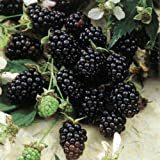 Extra-fertile flowers, and thornless canes. 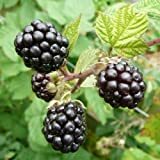 What can be done with big quantities of Blackberry plant fruits?